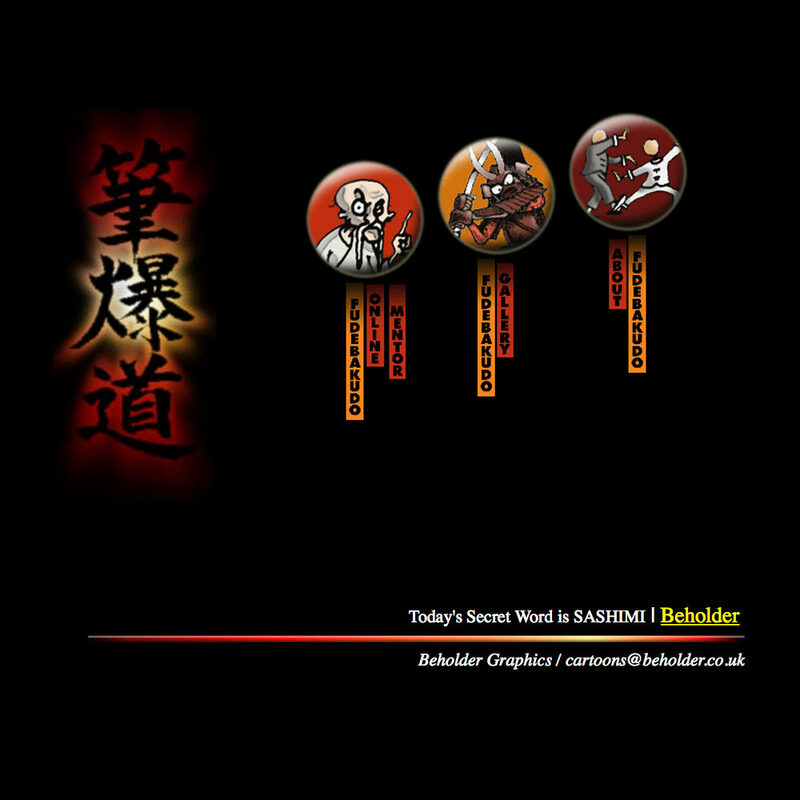 Snapshot of the Fudebakudo website from 1999. The mentor has been telling people which martial art they should be doing for almost twenty years already. Fudebakudo already existed offline (it appeared as a regular item in the fortnightly broadsheet “cartoon newspaper” The Cartoonist in 1993), but the book wasn’t published until 2003. This is the earliest version of Fudebakudo.com I can find, from the Wayback Machine internet archive.